Update: Paolo Buonvino will finally be the composer of Fathers and Daughters. 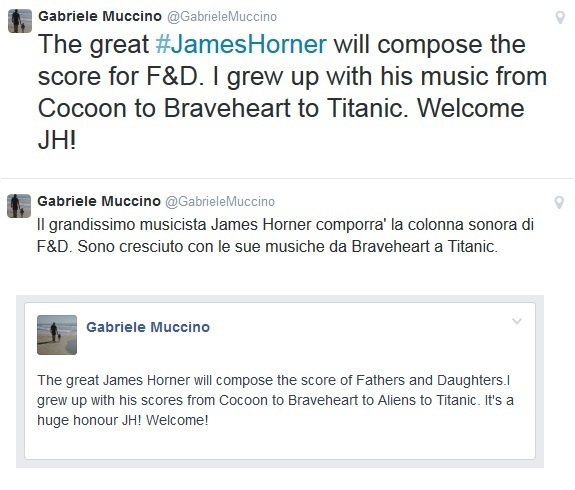 Italian director, Gabriele Muccino (The Last Kiss, The Pursuit of Happiness, Seven Pounds), announced that James Horner will compose the music for his next film: Fathers and Daughters. The story takes place in New York and follows a novelist engaged with his own madness who is struggling to raise his daughter alone. 25 years later, still in Manhattan, the girl, now an adult, tries to overcome the trials of her childhood. 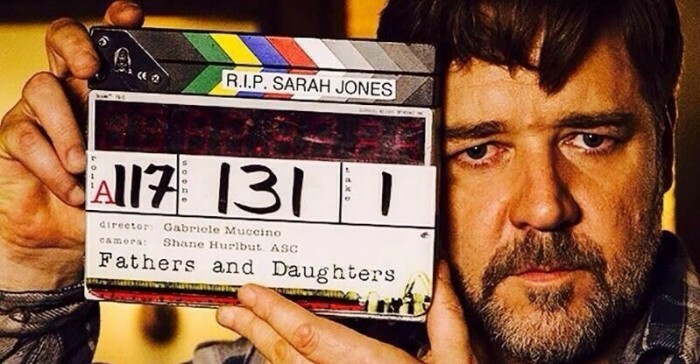 The film brings to the screen Russell Crowe, Amanda Seyfried, Aaron Paul, Diane Kruger and Jane Fonda. The movie, in editing, is announced for 2015.